I had the great pleasure to visit Fernie this past weekend with some very special and remarkable gals. We did the same trip last year and I had forgotten how nourishing the mountains and good friends are on the soul. I needed it, really needed it. You know who you are, thanks ladies. On our tour we hit up main street for some shopping, tea, coffee and treats. You can not go to Fernie without visiting the new chocolatier called Beanpod. Seriously, so good. The quality of this chocolate is exceptional. T schooled us on how to taste chocolate, she learned on a tour she got the day before. Although we were super sad that they had sold out of their Salted Caramels, I took home a dark bar with almond and a dark salted bar, they are both incredible. The girls got coffees from there as well, not only are they roasting chocolate beans, but also coffee beans. You must go if you are in Fernie. On another note, driving home from yoga practice on Sundays, I listen to the Vinyl Cafe on CBC. A couple of Sunday’s ago I was so moved by this story of Stuart Maclean visiting Fromagerie du Presbytere just outside of Montreal. Apparently it is national vegan day today and this post is in no way meant to disrespect 🙂 but I couldn’t help but share the podcast with you. Stuart Maclean has such a beautiful way of telling stories, this one of a small cheese producer, who won best cheese in Canada, Grand Champion this year with their Blue St. Elizabeth. I am now on the hunt. His retelling of meeting the brothers who walk the warm milk from one farm to the other to make cheese each day is delicious. They have line-ups of hundreds of people long on summer nights for their fresh curd. Stuart also meets Marie Chantal, a young cheese maker (and best in the country), who use to go from farm to farm to make cheese out of her van for dairy farmers who otherwise would have to discard their overproduced milk (they have limits). I highly recommend you spend 10 minutes listening to the podcast and let me know if you get to try this cheese. You can find the podcast here. Skip ahead to the 26 min mark, but the rest of the podcast is lovely as well. You can’t beat Stuart Maclean. I am always looking, finding and noting recipes that are healthful. A couple of weeks ago I stumbled upon a recipe in SwerveCalgary. I think I got a tweet from somewhere to something that led me to find these cookies by Julie Van Rosendaal, a well known chef/foodie, she’s hilarious. It was a no brainer. Hurry up banana’s ripen! I made them and they are now my favourite oatmeal cookie. Here is the recipe with my notes on how I made them. Make them today, seriously, go, now. If you need to make these peanut free, try other nut butters or a soy nut butter that is okay with schools. This recipe is sooooo good for kids lunches, but the peanut/nut free thing is so constraining for mom’s. I lived off peanut butter as a kid, today, this is not the case. Most kids can’t bring peanut or other nut things to school. 1) Preheat oven to 350˚F. 2) In a large bowl, mash the bananas with the peanut butter, oil and vanilla until smooth. (A fork worked perfectly). Add the oats, coconut, baking powder, cinnamon and salt. Stir until combined, then stir in the chocolate. 3) Drop spoonfuls of dough onto a baking sheet that has been lined with parchment paper or sprayed with non-stick spray (I pressed them down a bit). Bake 12-14 minutes, until just set. Transfer to a wire rack to cool. Makes about 24 cookies (I baked for 14 on convention, made about 20 cookies). Okay, so this isn’t the healthiest thing, but it is summer and S’mores are a summer treat. We were having our friends Jess and John over for dinner (we seem to do a lot of eating with them) and thought Hey! Let’s have S’mores! It’s summer, we have a fire pit and what a great way to spend a summer night. NOTE: Summer is defined as ‘the warmer half of the year’. Okay its warmer, but not by much. Anyhow, hot summer nights or not, we donned the camp fire clothing and made S’mores. 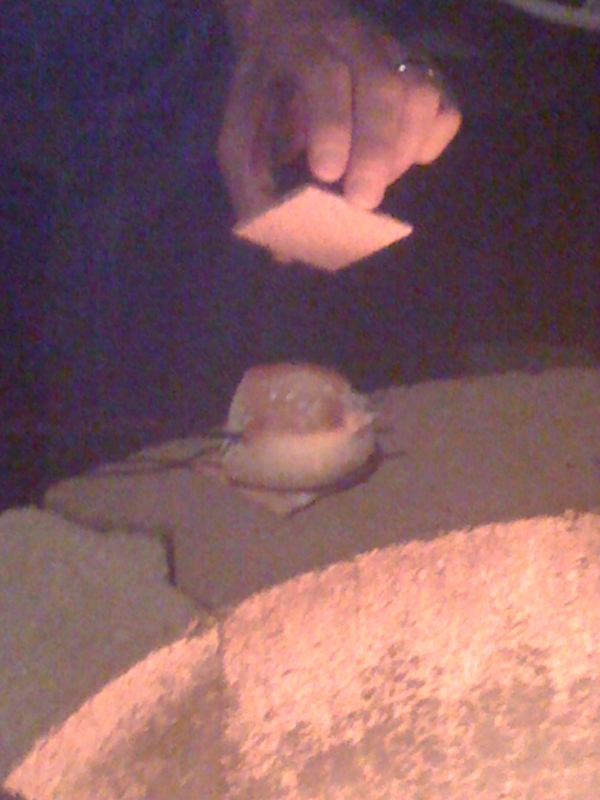 A S’more is traditionally made up of a toasted marshmallow between two Graham Wafers with a layer of chocolate. They are enjoyed over an open camp fire and the like. To make it a ‘Yuppie S’more’, as John called it, I picked up home-made marshmallow’s from Planet Organic, a Green and Blacks Caramel filled chocolate bar and low-fat Graham Wafers. Come on, I tried to make it ‘healthful’. 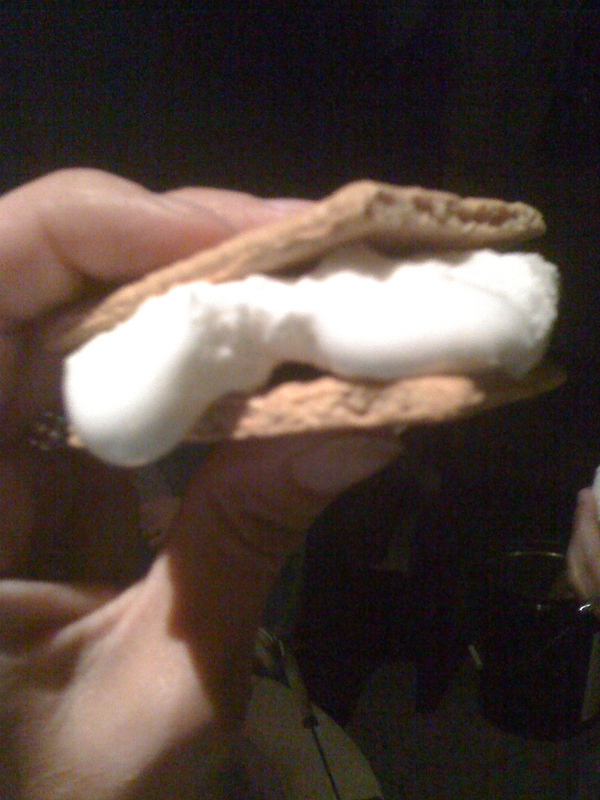 Honestly, these were way better than the Jet-Puffed version of a S’more. The marshmallow’s were less sweet, vanilla flavoured and the chocolate less sweet and smoother. I liked the low-fat Graham Wafers because the regular ones break apart easier when squeezing the melting marshmallow between them. Hey, these are the details you need to consider! 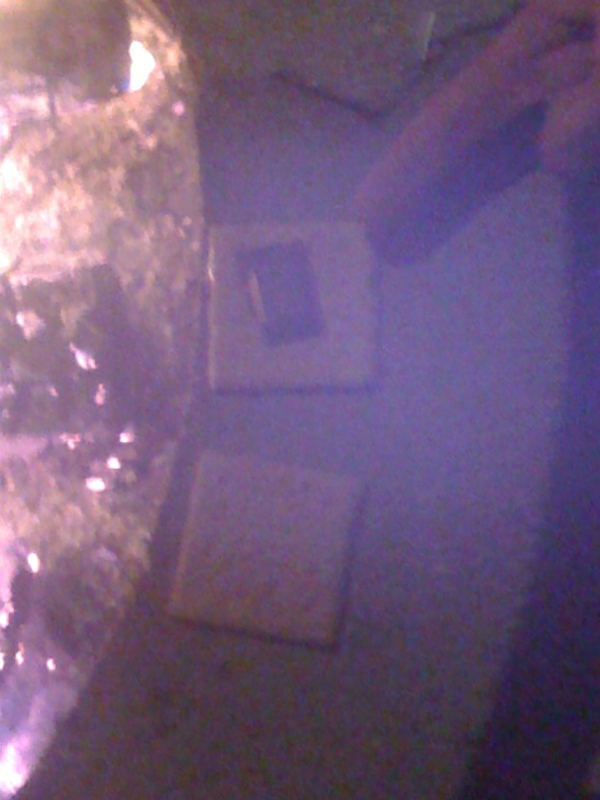 We documented the construction of them below (Hint: on a cool night, warm the Graham Wafers and chocolate on the fire pit to assist melting). What is your favourite S’more recipe? 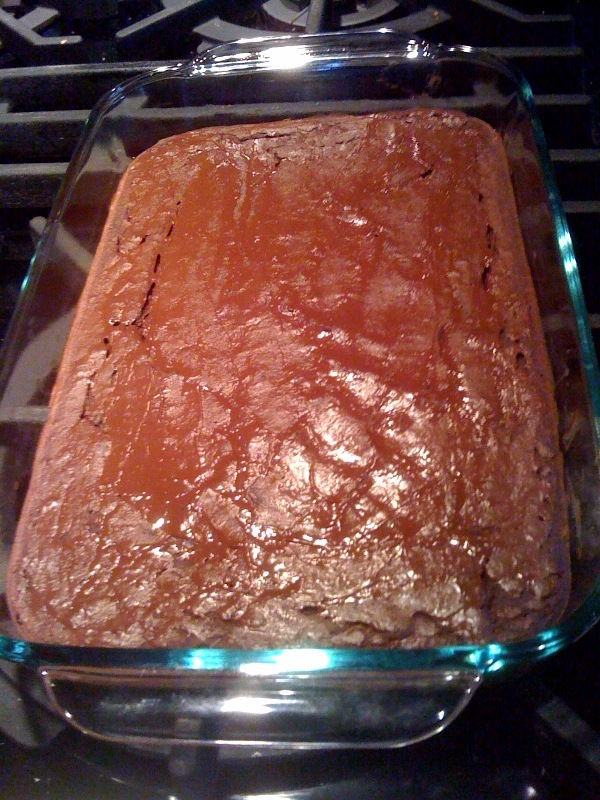 Jack, a yoga friend of mine gave me a couple of healthful brownie recipes to try. I love an experiment and test #1 took place on Sunday. The way I like to experiment is to first follow the recipe as is (with some exception to sugar ingredients) and if we like it and there is potential then I add/delete/modify/innovate. Sometimes they are perfect just the way they are (and that depends on whose taste buds were talking about). Usually after two or three times (or more) and it’s declared a home run I add it to what I call ‘the repertoire’ and it becomes a regular in our home. I have a special recipe binder for such things, that way I can write notes on the repeaters until they are just right. Preheat oven to 350F (175C). Blend everything together in your blender (I used my food processor, but didn’t add the walnuts till the end so they wouldn’t be pulverized), and then pour it all into a greased 8″ X 8″ pan (I misplace mine and used a 5×8 which was okay). Bake for approx. 30-40 minutes or according to your oven (until the top is dry, the center mostly set and the edges pull away from the side of the pan). ** Optional Frosting : after they are out of the oven, drop a few more chocolate chips on the top and spread when melted for a thin frosting. (I did this, it’s the perfect topping). Verdict: “I like them!” (Nat), “They’ll alright” (Tony). Dense in the middle, no trace of beans but there was a thickness to them. I think the apple sauce may have added to that. If you were gluten intolerant, this is a great way to have a brownie fix. Tony wasn’t in love with them, he thought brownies and ‘gooey, sugary, goodness’ – didn’t stop him from eating three of them though :). I’m intrigued however. Jack gave me another recipe and alternatives to it, I’ll test them another time and report back. They sound great too (and he says they are a fav at dinner parties). Thanks Jack!